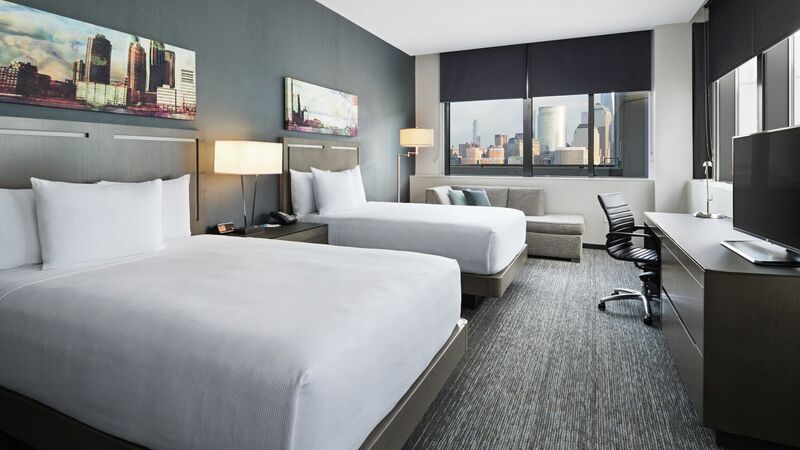 Make yourself at home during your stay at Hyatt House Jersey City, with 258 cozy guestrooms, including spacious suites. 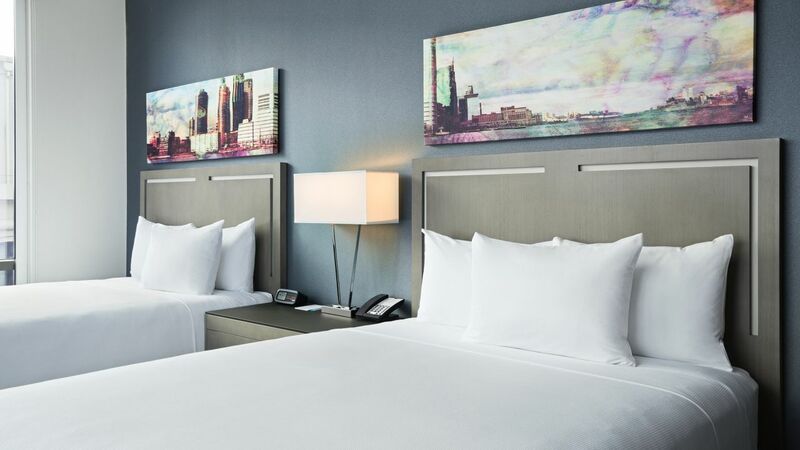 You’ll soon discover the special touches that make Hyatt House hotels so comfortable, including our guestrooms with contemporary décor and plush Hyatt Grand Beds™. 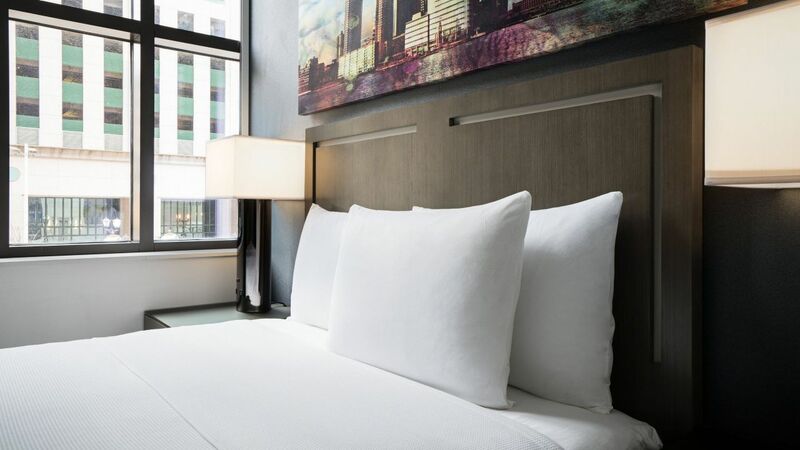 Don’t forget the spacious closet, 42” flat panel TV, dedicated workspace, and bathroom with glass walk-in shower. Our one-bedroom suite features a separate living room with sofa-sectional, a bedroom with one plush king bed, and a kitchen amid 396–600 sq ft.
Our spacious accessible queen guestroom features a seating area with a sofa bed and a sleeping area with two queen plush beds amid 354 sq ft of space. 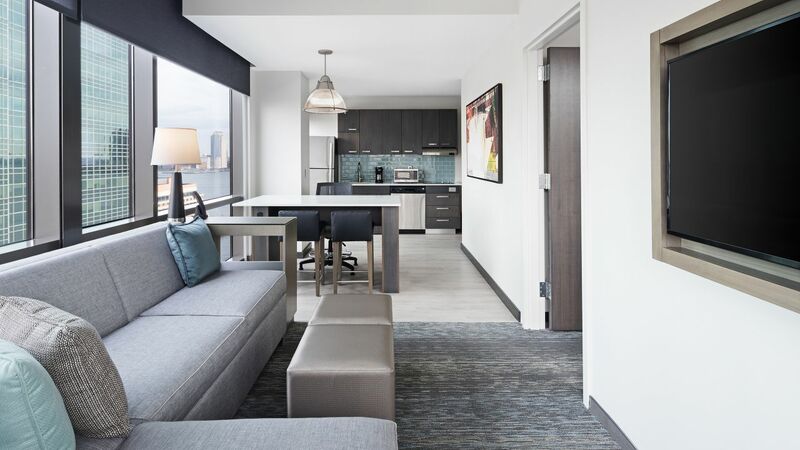 This one-bedroom accessible suite offers a separate living room with sofa-sectional, bedroom with one king plush bed, and kitchen amid 597 sq ft of space. 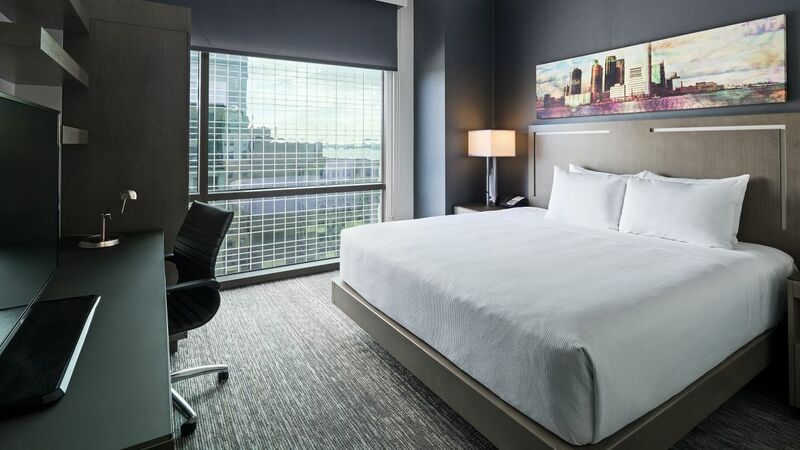 The City View One King room features a Hyatt Grand Bed™, unforgettable city views, and a work desk, all amid 361–487 sq ft of space. 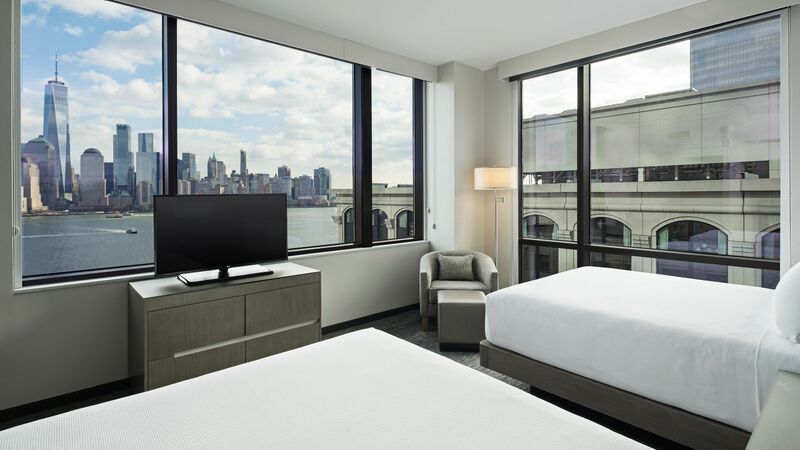 This 361–487 sq ft City View Two Queen room offers modern furnishings, stunning views, and a work desk. Set within 544 sq ft of space and this room offers two queen beds, a work desk, and generous bathroom with a walk-in shower. 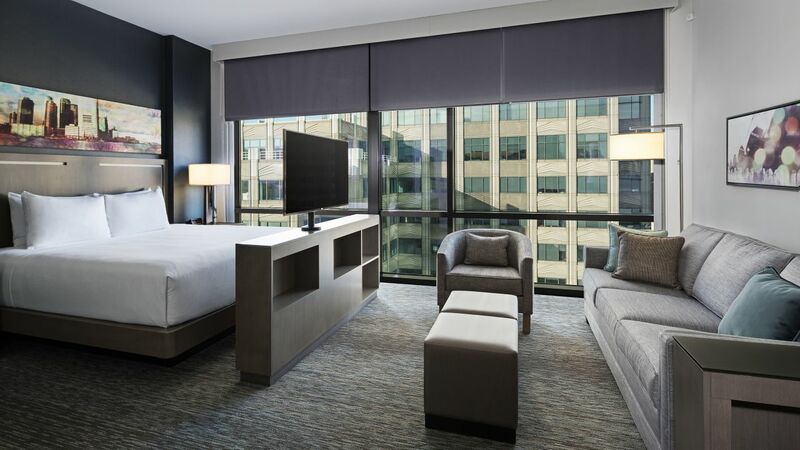 This room offers two queen beds, a sleek, spacious design, and a workspace, all within 318–421 sq ft of space. With one king bed, this room offers spacious interiors and a work desk amid 233–439 sq ft of space. 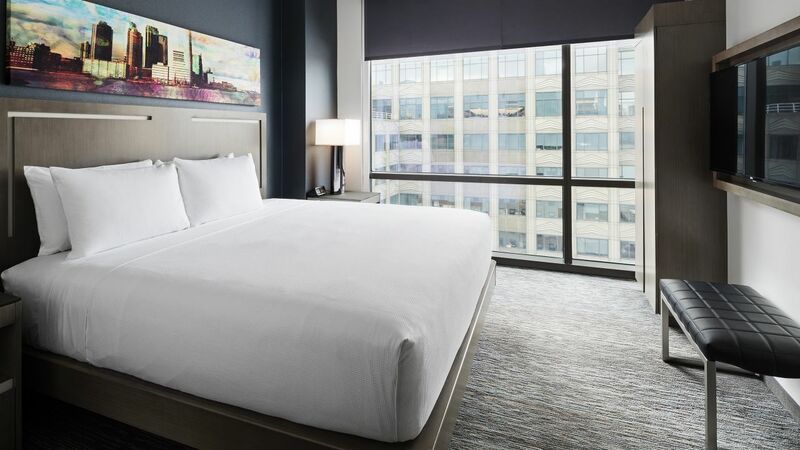 This room offers two queen beds with spacious design and a work desk, all within 233–439 sq ft of space. The spacious studio features a divided living and sleeping area with a sofa-sectional, as well as a kitchen amid 361–487 sq ft of space. 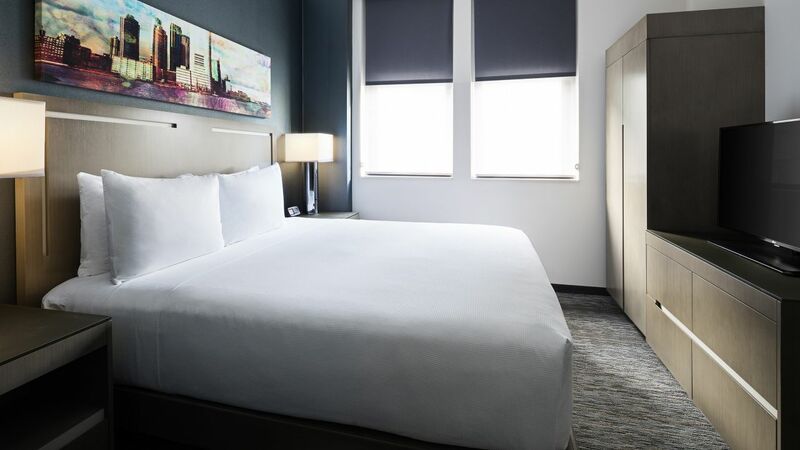 Our spacious king guestroom offers fully accessible features and comfortable furnishings including a seating area with a couch amid 335 sq ft of space. The spacious accessible studio features a divided living and sleeping area with a sofa-sectional, workspace, and kitchen amid 513 sq ft of space. 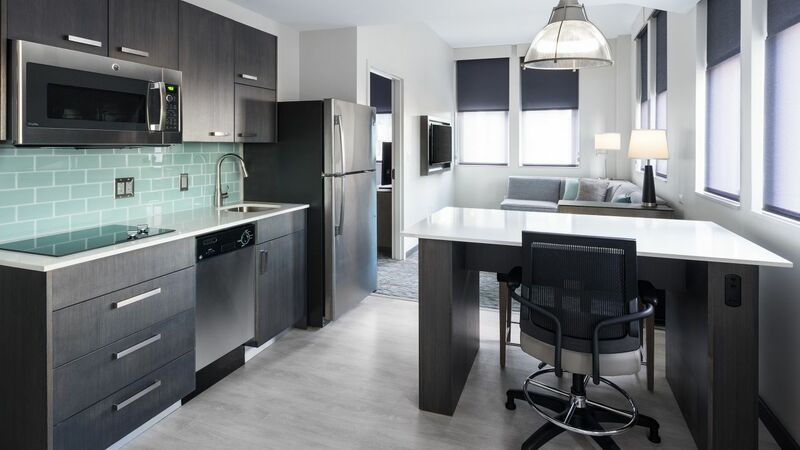 With fully accessible features, this ADA-compliant, king-bedded studio offers a sleeper sofa and work desk amid 391 sq ft of space. 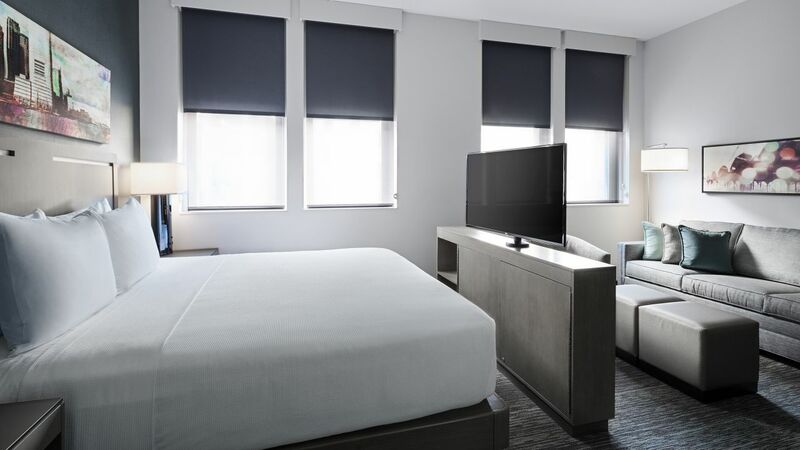 With fully accessible features, this ADA-compliant, queen-bedded guestroom offers comfortable furnishings and a seating area amid 335 sq ft of space.